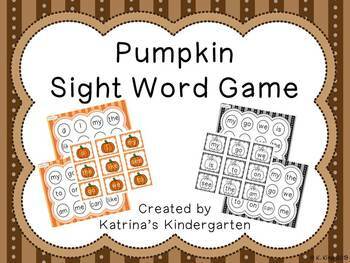 Review kindergarten sight words using this fun, interactive game with a pumpkin/halloween theme. 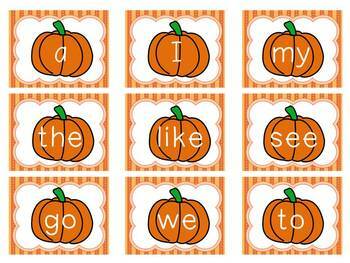 Students take turns pulling a card from the pumpkin. 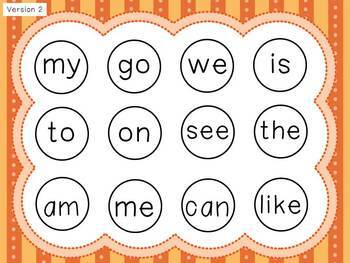 If they can read the word, they mark it off on their paper (color, bingo marker, etc.) and return the card to the pumpkin. If they can not read the word or have already pulled it, they loose a turn. 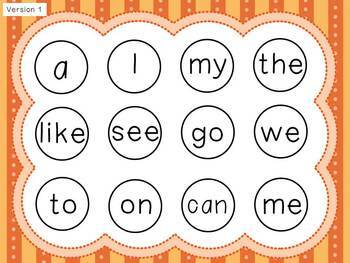 The first student to read all words wins the game! Included are color and black and white versions.